PAWNY Conference/Workshop - "Resolving Trauma Without Drama: New, Brief, Respectful and Effective Approaches to Treating Post-Traumatic Stress Disorder"
People with post-traumatic stress often suffer for years and develop a variety of troubling and often crippling problems. This workshop will detail a philosophy and methods of working briefly and effectively with people who have been traumatized. An array of new methods have shown that previous conceptions and methods of working with trauma are unnecessarily long-term and potentially re-traumatizing. These new approaches, rather than being based on the past and deterministic models, are oriented towards the present and future and a sense of possibilities. You will leave equipped with a different understanding of how to treat trauma and four specific methods you can use right away in your work. Through lecture, videotaped examples and handouts, participants will be equipped with new tools and ideas to work briefly, effectively and respectfully with even severe and long-standing traumas. Learn how some people turn post-traumatic stress into post-traumatic success and the research that shows how they accomplish that. In addition to learning new models and methods, come prepared to be entertained. Bill is a lively speaker whose humor and engagement with the audience make his presentations fun and enlivening! 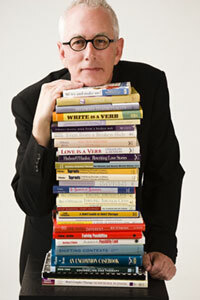 Bill O’Hanlon has authored or co-authored 36 books, among them Out of The Blue: Six Non-Medication Ways To Relieve Depression (W.W. Norton, 2014), Quick Steps to Resolving Trauma (W.W. Norton, 2010), Change 101: A Practical Guide to Creating Change (W.W. Norton, Fall 2006), and Thriving Through Crisis (Penguin/Perigee; winner of the Books for a Better Life Award). Beyond his wide and stellar accomplishments and myriad of professional honors, Bill is also known for his storytelling, irreverent humor, clear and accessible style and his boundless enthusiasm. His presentations are as entertaining as they are educational. Please plan on joining us. Buffet luncheon will be provided (covered in the registration fee). In collaboration with the University at Buffalo Counseling Services, 5.5 hours of CE’s will be provided for Psychologists, Social Workers, and Mental Health Counselors at an additional nominal fee of $35 (to defray the administrative expense). The University at Buffalo Counseling Services is approved by the American Psychological Association to sponsor continuing education for psychologists, and is recognized by the New York State Education Department’s State Board for Social Work (#SW-0504) and Mental Health Practitioners (#MHC-0129) as an approved provider of continuing education for licensed social workers and mental health counselors.